Accelerator for Female-led ‘Social Tech’ Start-ups opens in London! WE IN SOCIAL TECH BUSINESS ACCELERATOR LAUNCHES, WITH A FOCUS ON WOMEN IN TECHNOLOGY, FOR SOCIAL GOOD. 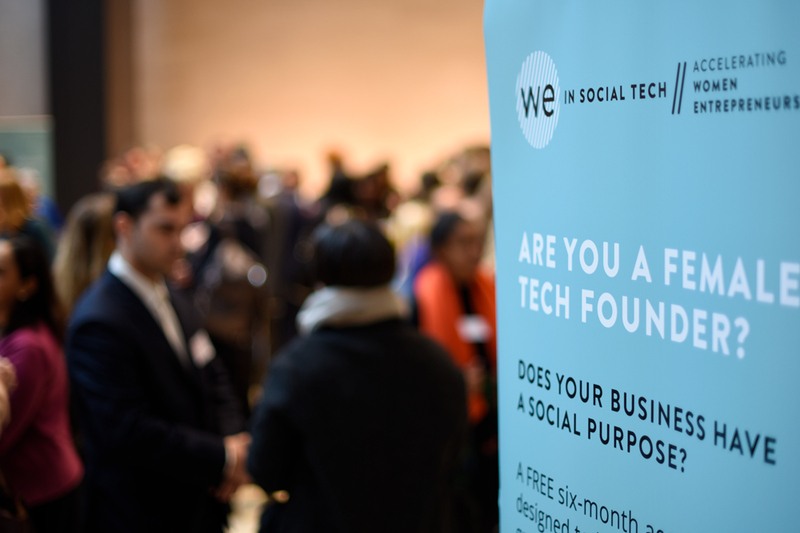 We in Social Tech, an inspiring new business accelerator for women, will celebrate its official launch with a high-impact event on 01 November, as applications open for the first female-led, tech-for-good businesses cohorts. A panel talk and brunch will formally outline how the new London-based business accelerator will work towards improving the gender imbalance in the UK’s technology sector throughout the next two years and, importantly, support and grow tech businesses that contribute to the greater good. Female entrepreneurship remains a challenging path, particularly within the male-dominated arena of technology. Yet We in Social Tech (We standing for Women Entrepreneurs) believes there’s no need to go it alone. It will offer intensive support, business consultancy and mentoring, alongside unparalleled access to industry experts and the use of a collaborative workspace in which to start and grow businesses from the ground up. Alongside the brunch, We in Social Tech spokesperson Ghislaine Boddington, of body>data>space and Women Shift Digital, will lead a panel discussion on ‘Value and Values: Supporting Sustainable Tech Business and Contributing to the Greater Good’. Joining her on the panel will be Anne-Marie Imafidon MBE, CEO, Co-founder and Head Stemette of Stemettes , Anjali Ramachandran, Director of Storythings , Co-founder of Ada’s List and Writer at Other Valleys , as well as Julian Blake, Director and Editor of Digital Agenda.